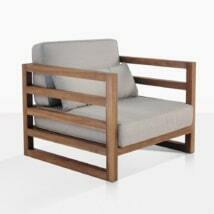 The reclaimed teak coffee table, redefined. This reclaimed teak coffee table is a dark, minimalistic, refined piece of furniture with roots in several contemporary styles and yet, it has a bit of a nostalgic feel. The deep walnut stain gives this piece of furniture a whole new look, without losing the benefits of the underlying teak wood. W27" x L47" x H15"
At once, this reclaimed teak coffee table is all of the following: mysterious, sharp, cool and contemporary. The surface of the table is just over 47 inches wide and just over 27 inches deep. The Manhattan Coffee table fits perfectly with the square and linear looks of the rest of the collection, but adds a certain old world flair, with the perfectly imperfect wood. The history that comes along with a piece made from reclaimed teak is a such an interesting characteristic to the style that showcases it. This coffee table is confident, very contemporary and offers the perfect centerpiece to a room with its timeless good looks. Not overtly modern, this piece has a whole palette of styles in its design, from Zen, to mid century American to urban NYC, to traditional European lines. 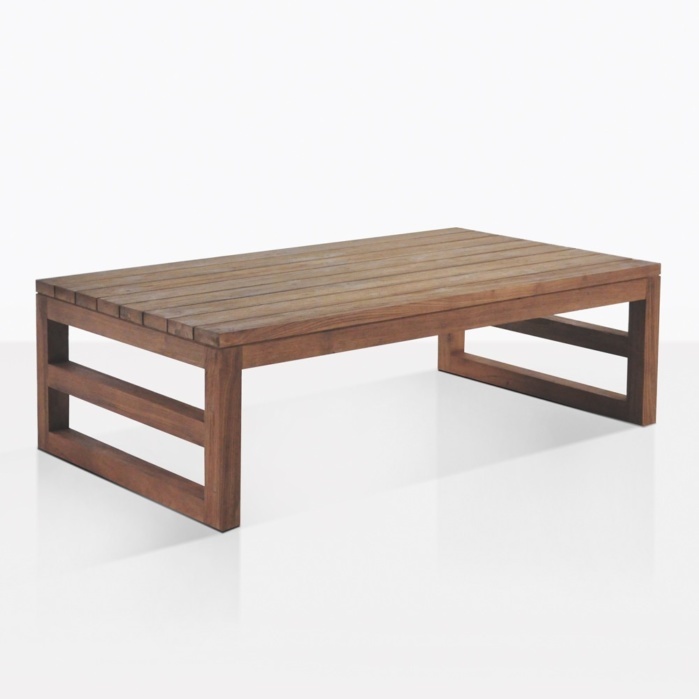 Pair this nicely sized reclaimed teak coffee table with any of the pieces from the Manhattan collection. Or you could pair it with a piece of furniture made from Grade-A teak which would likely provide as much contrast as the perfectly matched Sunbrella® Cushions of the Manhattan Collection. This piece is equally eye-catching and conversation-starting, indoors as it is outdoors, with a loft providing a perfect setting for such a piece. Don’t forget though, at its heart, this athletic and clean looking piece was made for the outdoors, where it functions as an excellent reclaimed teak coffee table.